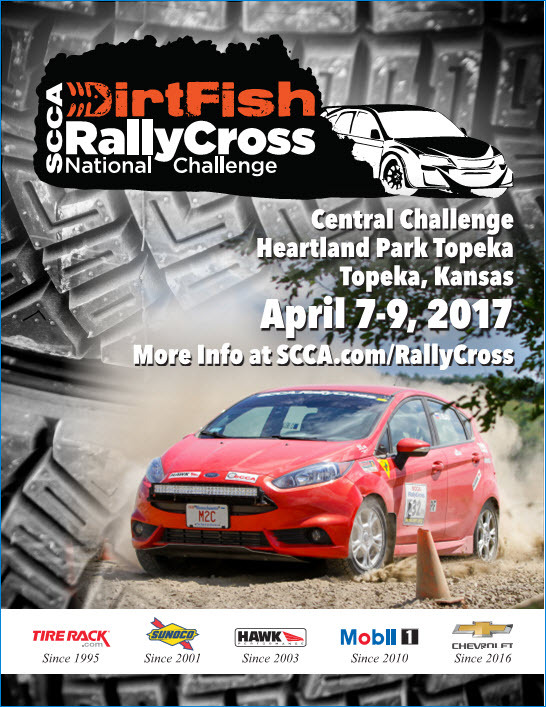 Come out with your friends and family April 7-9 to take part in the SCCA DirtFish RallyCross National Challenge. Entry is open to all, no qualifications necessary and newcomers are encouraged! Preregistration is highly encouraged. Onsite signup only allowed on Friday, April 7, 3:00 pm to 7:00 pm. Tagged Central Challenge, Heartland Park Topeka, Rallycross. Bookmark the permalink.